Android Wear 2.0 finally started rolling out at the end of last month, even though it was initially supposed to come out last fall, and then got delayed to February. Better late than never, right? Well, yes, but then Google found a big nasty bug even after the rollout commenced, so it had to pause things and fix it. Now it finally looks like that unnamed bug is behind us, as more and more smartwatches are receiving the coveted Wear 2.0 update. It's already made it to the Fossil Q Founder, Casio Smart Outdoor Watch, Tag Heuer Connected, Polar M600, Fossil Q Wander and Q Marshal, the Michael Kors Access line, and Nixon Mission. And as of today it's also rolling out to the LG G Watch R and the original Watch Urbane from 2015. 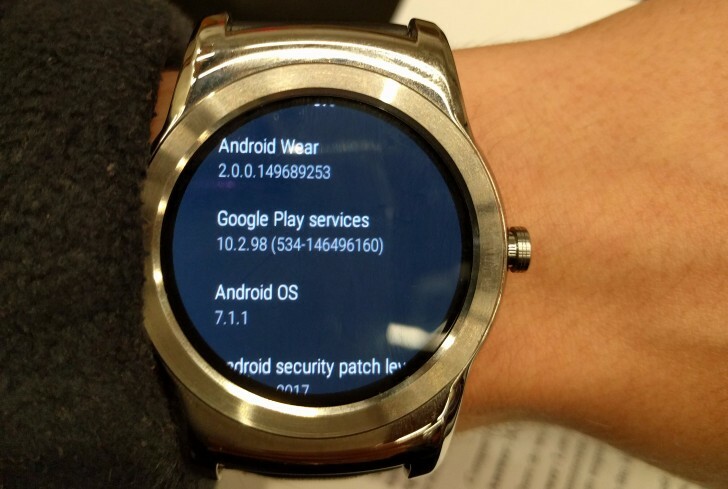 If you have one of these watches, know that you're getting Android Wear 2.0.0.149689253 based on Android 7.1.1. Of course the rollout may be staged so it could take a few days for the new software to make it to all the units out there.